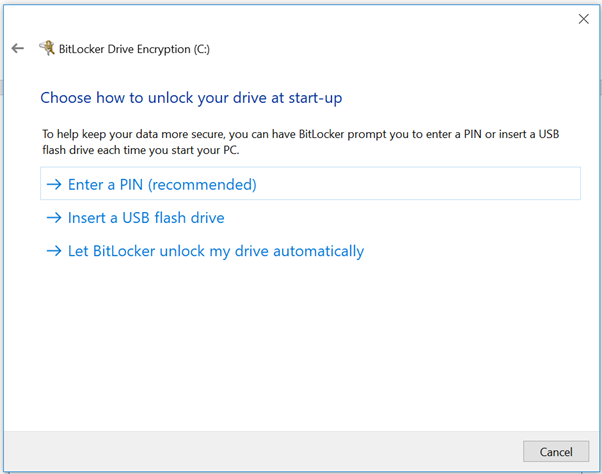 A quick article to show some of the Intune Options for Bitlocker and what effect they have on the users encryptions prompts. These options are controlled by the policies below. Each of the options in red correlate to the settings shown above. If you dont want any options and want it to the default to TPM only with no pin prompt, then set all to do not allow. 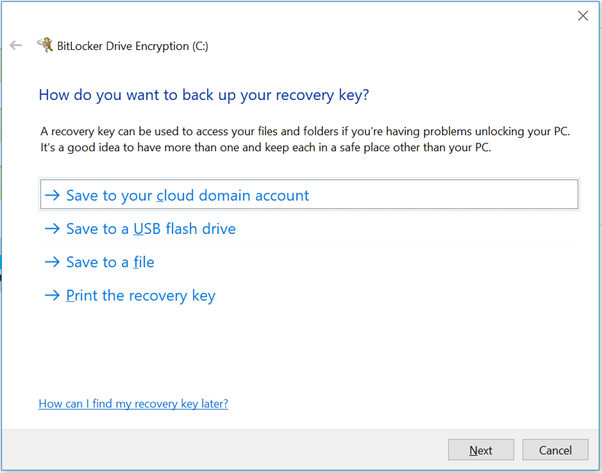 How do you want to back up your recovery key? 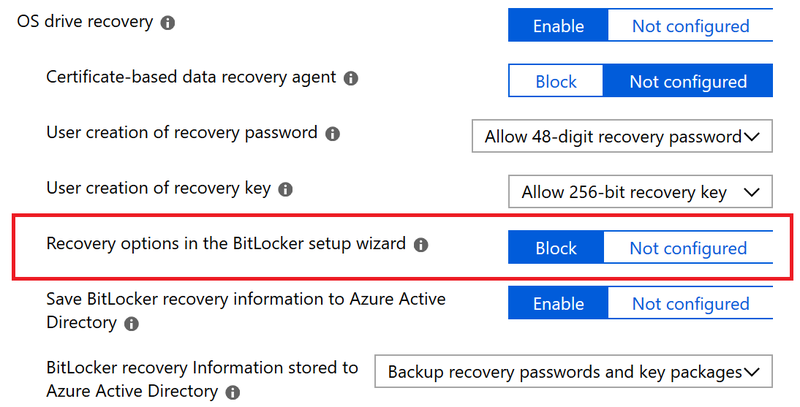 This screen is shown if the Recovery options in the Bitlocker Setup Wizard is set to “Not Configured”. To default to saving to Azure AD or your AD set to Block.